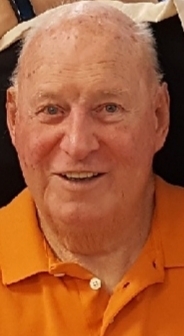 James S. Scott of Deerfield Beach FL, age 86, peacefully passed away at home on Sunday, August 26, 2018. James was born in Newburgh, NY on September 21, 1931 to Matilda May and William C. Scott. He married Joan F. Ellis Scott on November 7, 1953, who predeceased him. They had six children of their own, and were foster parents for thirty years to over one hundred children. James was a veteran of the Korean Conflict Era, where he received a purple heart for injuries suffered during combat. 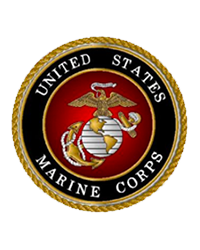 He served in the Marine Corps from July 26, 1951 to July 25, 1954. James was employed by Crowley Milk Company, as well as Hudson River Psychiatric Center and Wassaic. James is survived by his children, Sharon MaGee of Cleveland, TN, Debra Neese of Deerfield Beach, FL, Doug Scott of Pagosa Springs, CO, Laurie Frisone of Pompano Beach, FL, John Scott of Boynton Beach, FL, Diane Scott of Poughkeepsie, NY, and also several grandchildren and great grandchildren. A private family service will be held at the VA South Florida National Cemetery in Lake Worth, FL.